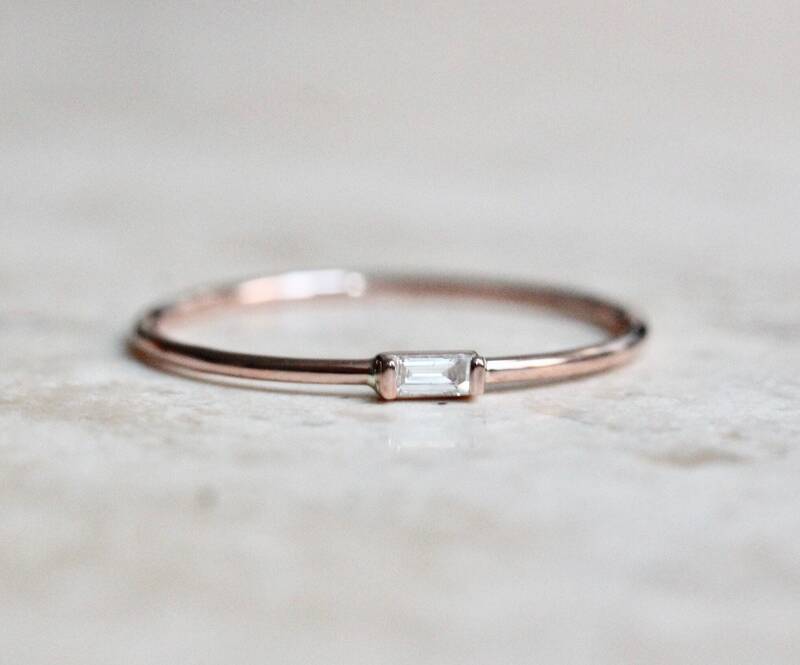 Perfect for stacking with our other dainty rings! 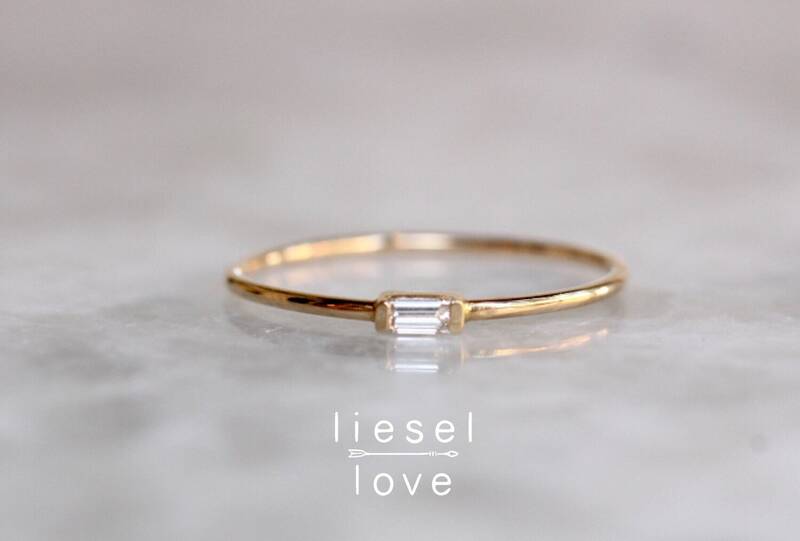 Our tiny baguette diamond ring is unique, simple and great for everyday wear! 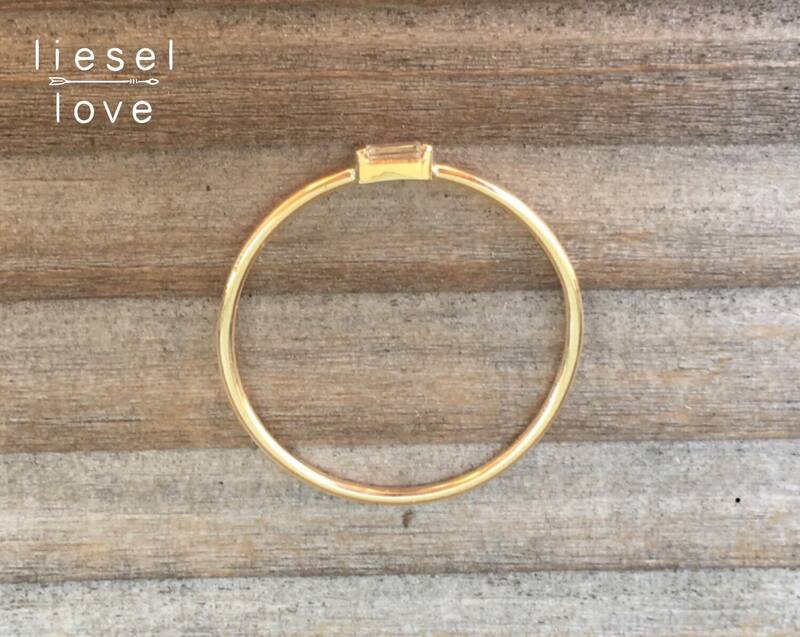 - Available in lots of sizes, wear as a midi ring, or a stacking ring! 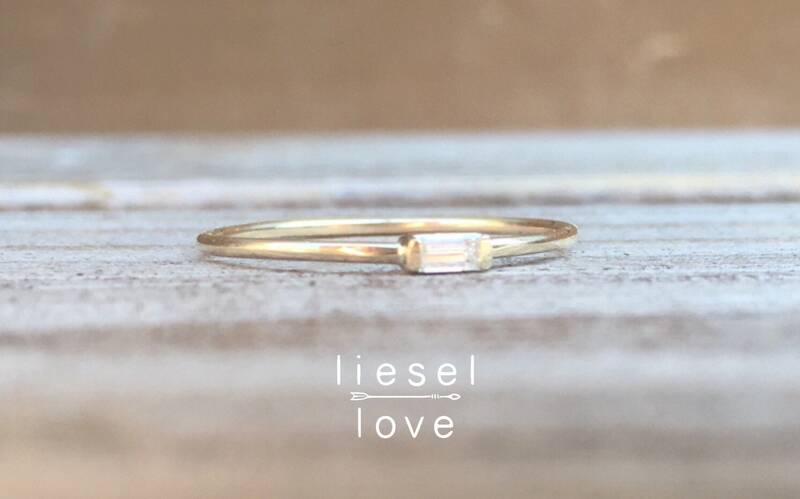 I’m in LOVE with these rings! They’re a beautiful quality and look so elegant. 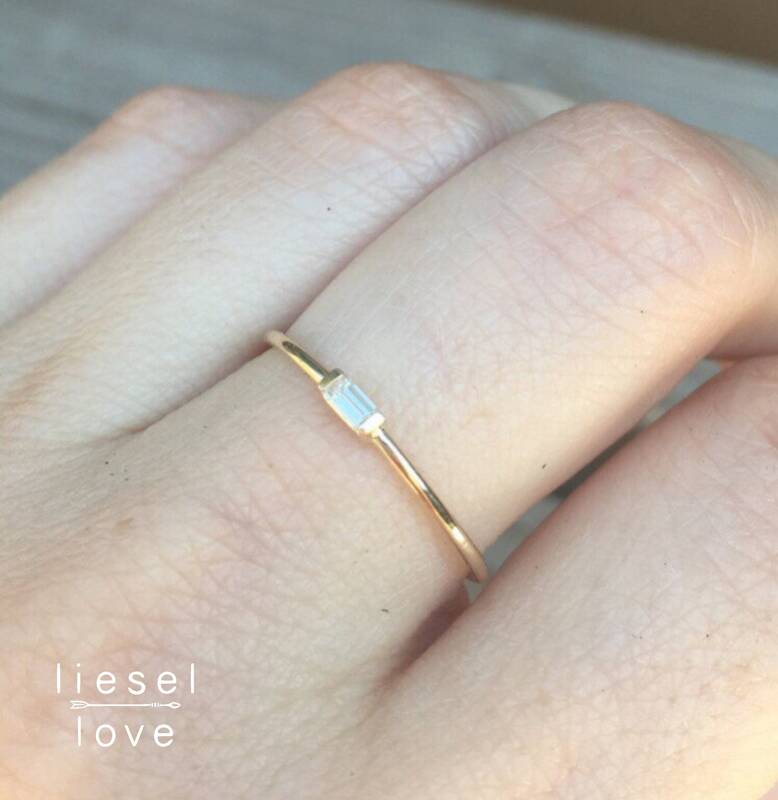 I also originally ordered the wrong sizes and getting both rings resized (at the cost of just $20/ring) was no problem. Extremely excited to wear them! 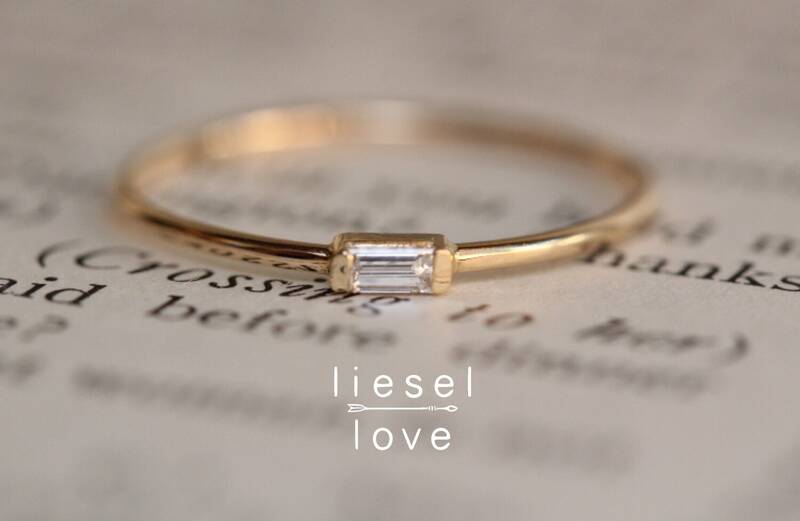 I love my ring! It is exactly what I was looking for.